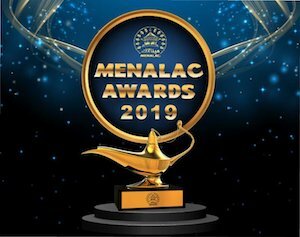 The intense competition for recognition in the MENALAC Awards – the attractions industry’s ‘Oscars’ in the Middle East – will be played out at the Gala Dinner to be held at the Ritz Carlton in Dubai on Tuesday of next week. Best Unique Visitor Attraction: Oli-Oli; Dubai Frame by the Dubai Municipality; and Dubai Aquarium and Underwater Zoo. Best Cinema Experience: VOX Cinemas; Reel Cinemas; Novo Cinemas IMG Worlds of Adventure. Best Innovation in Health and Safety: MAF Leisure; Landmark Leisure. Best Waterpark: Lost Paradise of Dilmun, Bahrain; La Cueva Aquapark, Jordan; Baghdadland Waterpark; Yas Waterworld, Abu Dhabi. Best Employees Engagement Initiative: Adventureland Sharjah; Farah Experiences; Landmark Leisure. Best Theme Park: Ferrari World, Abu Dhabi; Worlds of Adventure, Dubai; Warner Bros World, Abu Dhabi. Best CSR Programme: Happiness Adventureland, Sharjah; Ataa, Al Hokair Group; Speedy Recovery, Ferrari World. Best Customer Loyalty Programme: Tistahel, Al Hokair; Play Membership, Landmark Leisure; Play Points, MAF Leisure. Best New Leisure/Entertainment Concept: Oli-Oli; Al Hokair Time; orange Hub; Warner Bros World Abu Dhabi. Best Entertainment/Playscape Product: Children City, Dubai; Dig It; KidZania, Dubai; Kidz Factory; Fun Block. Best Sport Adventure-based Entertainment: SkyZone, Malqa, Riyadh; Xtreme Zone, Deerfields Mall; Jumble. Best Day Out: IMG Worlds of Adventure; Jumble; Camp Mirdif, MAF Leisure; Warner Bros. World Abu Dhabi. Best Establishment Manager; Below 250K Visitors/Transactions: Ahmed Al Newihy, MAF Magic Planet, Mirdif; Elmoataz Elsayed, Fabyland Dubai, Al Othaim; Swaraj Pradham, Fun Ville, Ezdan Mall, Qatar. Best Establishment Manager; Above 250K Visitors/Transactions: Abdul Jabeer, Xtremeland, Mall of Qatar; Taleb Madah, Safforiland Hasaa, KSA, Al Othaim; Don Strickler, Warner Bros World, Abu Dhabi. Best Sales and Marketing Campaign: PR Campaign, Fabyland, UAE, Al Othaim; Monday Funday, Al Othaim; IMG Worlds of Adventure; Play Membership Landmark Leisure; Warner Bros. World, Abu Dhabi. Most Innovative New Indoor Product/Installation: Embed; Ferrari Wrold, Abu Dhabi; Xtreme Zone, Mall of Muscat; Angry Birds, Qatar; Tekzone, Kuwait. Best Innovative Application of Technology: VR Park; Fun City E-Commerce; Fly Dubai VR; Cinesplash, Yas Waterworld; MAF E&E E-Commerce. Best Family Entertainment Centre: Fabyland, Dubai Festival City Mall; Xtremeland, Mall of Qatar; Tridom, Manar Mall RAK; Fun City, Pakistan.